It’s an idea and a popular talk-point that has been around for a long while. It’s over discussed, yet under practiced. It’s well known, yet elusive. Easy to understand, yet difficult to achieve. When we think of moving from Good to Great, we first think of ourselves: how can we enhance our skills, our capabilities, or our knowledge? How can we get so good that suddenly we’ve achieved greatness? The fact is… this is all very subjective. The meter of greatness is unique to our perspective. What I think is great, you might find terrible. And what is sub-par for me, could be the very best in your opinion. So, the notion of Good to Great is definable from your unique perspective. But the idea of growth in business is more clearly and universally defined, particularly in terms of capital growth. If your business is making more money each year and your brand is becoming more recognizable in the market…you are moving in the right direction. This also applies to your client relationships and that is the subject we’ll look at here: How can we take our clients from good clients to great clients? The answer is similar: if you are bringing financial growth to your client… you are moving in the right direction. That means not only providing quality and performance in the solutions you provide, but to also understand that client and their world to the degree that you can now anticipate their needs. To build trust in that relationship to a level that exceeds your list of known capabilities. To have a client say, “I need something that’s never been done before and I know just who to ask.” Even better, to have a client’s trust so strong that a single request organically expands into a fully integrated campaign. In Marketing Communications, that’s moving from Good to Awesome. Moving a client from Good to Great…or even Awesome, doesn’t mean just delivering something good over and over again. The drive to “Great” means exceeding an expectation and delivering another cliché business phrase... a “wow moment”. That moment doesn’t necessarily have to be a creative genius design. It could be a strategy that connects one need to three other needs. It could be an idea that expands one success into several successes. In our world of Media Communications, this could mean expanding a print piece into a website or video. It could be a small, well executed deliverable like a logo design that grows into a brand story that then blooms into a brand experience. How do we do it? Some may say it’s a gift. We say, listen to your client. Understand their challenges, their industry, and their audience, then tap into your creative gift and take them… and yourself…from Good to Great. Bob Pascarella is the Creative Director at Fenway Group and a keen observer of humanity and business strategy. Have you ever used the phrase “I meant to do that?” It’s a wonderful expression to convey that you did something on purpose. It wasn’t serendipity. It wasn’t luck. You planned it and carefully executed it according to that plan. It also works particularly well if you do something clumsy at work in front of everyone. But, today we’re talking about purposeful, meaningful and relevant design, the kind that communicates an idea, tells a story and creates a reaction with the viewer. The kind of design where you can confidently say “I meant to do that”. Design that captures the essence of a message, often without words, but even more powerfully when aligned with a compelling narrative. And the best part is that the effect of a great design can be unique to the viewer’s own experience with it, and each viewer’s reaction will be different from everyone else’s, either slightly or vastly or anything in between. So when we say “That was done By-Design,” what we are saying is that we did our homework, research and discovery on what we are trying to say and how best to say it. As commercial designers, we often get very abstract input from a client trying to define their brand. We hear things like “we’re smart and nimble” or “our brand story is confident and bold.” You look around the room at the graphics designers and everyone’s eyes are closed, trying to envision “confidence” while thinking about shapes and colors. The video designers are feverishly scratching in notebooks, compiling “confident” words and concepts. The print people are instantly calculating how large they can print before the design is visible from outer space. This is how designers start in their purposeful process. 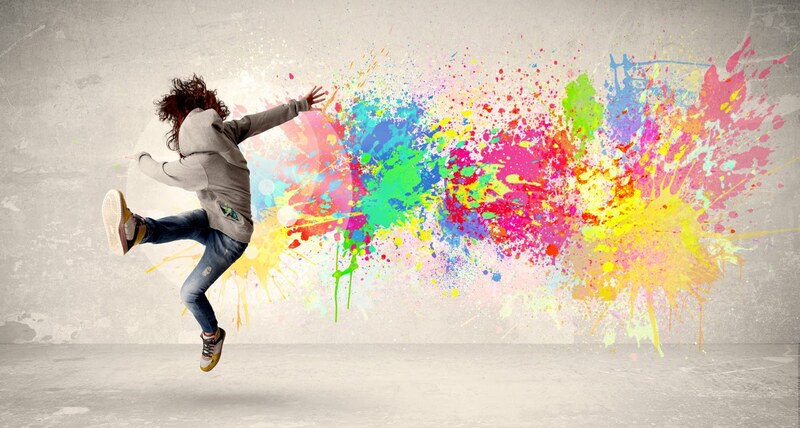 Design is born from inspiration and delivered through perspiration. It’s not created for itself, it’s created for someone to experience. It’s both subtle and in-your-face. Its main purpose in life is to affect the viewer in some way and if it’s not doing that, then it’s not doing its job. I often think of design like a song. Actually, songs are constructed using methodology that is similar to what you might use as a designer: identifying your message or story, discovering the way you wish to communicate it, planning your action, and executing that plan. And much like a song, if only you like it, you might be the only one on the dance floor. A design experience is a three-party proposition. There’s the designer, there’s the design, and there’s the people who are experiencing it. These three must come together in harmony to create a successful experience. How do you really know if you’re doing it right and delivering an effective design? Take a look at your audience and see if they’re dancing too. Bob Pascarella is the Creative Director for The Fenway Group in Boston. "Shorten your lever," the coach told me, "if you shorten your lever you'll get more power." It was in that moment that the idea of improvement requiring audacity came to me. After all, I'm 59 years old, and have been swimming since childhood. To think that I could improve at this point requires some audacity, at the very least! boldness or daring, especially with confident or arrogant disregard for personal safety, conventional thought, or other restrictions. So is the alternative to audacity; complacency? Settling for what's good enough or something comfortable and easy? 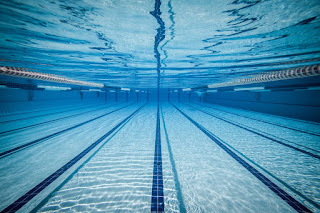 In Masters swimming we do a lot of laps. If improvement isn't the goal then I'll be practicing the same bad stroke over and over again?! Drilling and mapping something less good repeatedly starts to resemble the infamous quote about insanity—doing the same thing over and over again and expecting different results. I believe the same audacity applies at work too. The company started 23 years ago and has many goals – profitability, secure employment, safe workplace, and more. Within all that has been the constant striving for improvement, for doing better; and rejecting complacency as acceptable. Fenway Group is undertaking Lean Six Sigma processes and the training that will further establish a commitment to continuous improvement. I've been a part of an industry that has changed rapidly over the past two decades. If I've learned anything I've learned that within those changes is where opportunity for improvement exists. P.S. 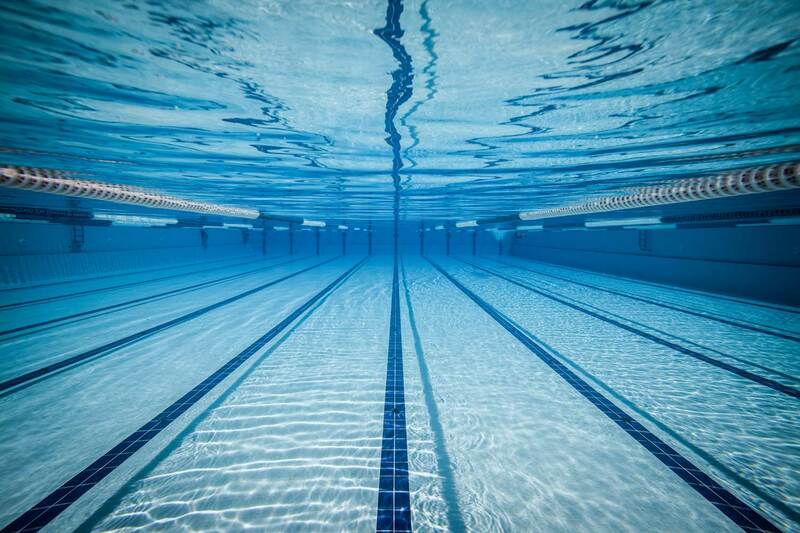 After weeks and weeks of practicing my new stroke with a shorter lever, I'm happy to report shaving 5 seconds off my 100 yard interval. Look out Michael Phelps! I've been involved in design and print for the past 23 years. To be honest I've never thought about which job, of the thousands of jobs we've done, was the best. Perhaps it’s not a matter of reflection as much as it is being open to receiving it...and when this order came in I recognized it instantly. Oddly, it’s not a project that I'd spent much of any time thinking about, reeling in, or anything like that. It's not even a large order by most standards; as a matter of fact this order was for printing one. Yes, one. This was an order for printing diplomas and certificates for a college. We've done it before for several of the schools in Boston, but this contained my wife's diploma. 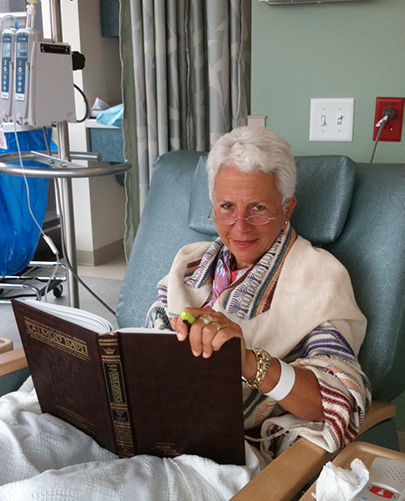 This June she will be ordained as a rabbi after seven years of study. That alone is an accomplishment worthy of note. For me part of what makes this so special is what it took to get there. What started as the fulfillment of a lifelong dream turned into a long and unexpected journey. Not only did my wife start her studies at age 60, an age that most people do not embark on new careers, but two years into the six-year program she was diagnosed with cancer. Throughout it all she never doubted the completion of her studies! In the process she was transformed into a wellspring of wisdom and spiritual awakening, while exhibiting grace and gratitude. I was witness to her finding blessings throughout the whole experience. She has truly earned the honor and title for which she has worked so hard. How fitting, for me, that a symbol of this work is represented with a printed document! I've often spoken of the role of print in the age of the internet of things. Of all the examples that can demonstrate the importance of print, a diploma…especially this diploma is the epitome of the power of print! I was struck this past week by two experiences. Each experience, upon reflection, involved paper. Perhaps that shouldn't be a big surprise seeing as how I work with paper all the time, but these experiences reminded me about how very special paper can be. The first was a manuscript written in 1855. Our client, the Howard Gotlieb Archival Research Center, has amongst their treasures, this handwritten music manuscript. Our job was to scan and reproduce this for a project of theirs. There's something different about handling a piece of paper written in 1855; almost as if it were a holy object. It felt like a glimpse back in time. America in 1855 was on the verge of civil war; the poet Walt Whitman published "Leaves of Grass", the Crimean War was waging on in the Ukraine, and the California Gold Rush was in full swing. 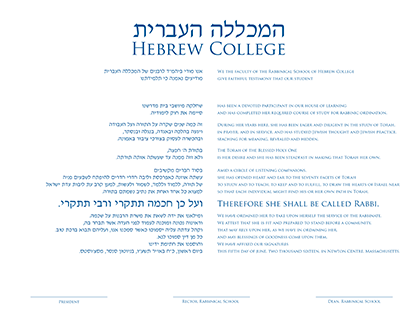 The second was the process of printing the Honorary Degree certificates and Citations for a major university in Boston. We have printed other diplomas and certificates in the past, but this process was a bit different. 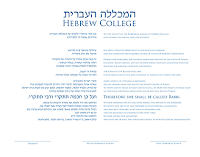 Most schools ask us to print 2-3 copies of each diploma. That way if a signature gets flubbed or some other mishap, they have a back up. In this case we were asked to print 100 copies of each. One of their senior people then comes in and hand selects 5 copies to take for signature. Once again the importance of paper struck me. The meticulous work that was demanded was to produce a document that would be revered, framed, and meant to last the test of time. That got me to thinking about all of the other media I've encountered over the past twenty-something years. Then it struck me, oh my goodness, what would happen if these important documents we stored on other media? 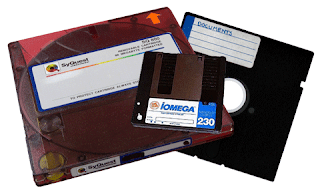 Remember floppy discs? Bernoulli drives? Syquest discs? CDs? Imagine, in the name of progress, if you were to get your diploma on a thumbdrive? or your wedding certificate on a floppy? For me, now more than ever, I'll take the paper version. I began my business more than 20 years ago, and I dare say, without much of a business plan. Graphic design on computers was a young business, but I knew that I wanted to make a go of it. Aldus Pagemaker 2.0 had just been released, so I bought that along with a computer and a laser printer and was in business. Entrepreneurship is the process of starting a business or other organization. The entrepreneur develops a business plan, acquires the human and other required resources, and is fully responsible for its success or failure. Before too long I was busy enough that I needed to hire an employee; that is the acquiring humans part. Now, not only was I responsible for myself, but I had another human; a person with a name and a life; to whom I was responsible. I worked hard, as did she, and several years had gone by when my wife and I realized that we’d not been on a vacation since the business had started. How could I leave? I thought. If I left I was certain I’d go out of business and not only would I have let down my family, but my 1 employee as well. I do not believe that it is ego, or ego alone that drives the entrepreneur to believe that business responsibility rests on them alone, but it’s a heavy burden. I cannot remember where we went on vacation, only that we took one. Much to my surprise I returned and had not gone out of business. In fact, my absence, gave my employee the space to grow and thrive. Not only did she ‘hold down the fort’ but indeed everything went just fine…maybe better?! I write this blog entry from an airplane returning from a 2 week vacation, and in full confidence that in my absence the business will not only be there for me to return to, but that everything went well. Yes, 20 years later a lot has changed. We are now more than 30 employees and I still feel a great responsibility to each and every one of them. But I also owe them a great deal of thanks and appreciation. I am now returning after 2 weeks, refreshed and renewed, ready to go back to work. So, in case I have not made it clear, I would like to say “Thank You” employees. I value your contributions to our clients and our company; and, now that I’m refreshed, I will continue to work hard for you. Maybe it's because I live in Boston and we've had more than 100 inches of snow this winter; but did you ever wonder why snow is white? (no yellow snow jokes yet...but we can explain that too!). The short answer is…snow is white for the same reason cucumbers are green, or apples are red. But, for many people the short answer won't really help without a quick refresher on color theory 101. Think about a rainbow...red, green, blue, orange, violet, etc. All the colors you can see in a rainbow are the visible colors in the white light spectrum. So, that establishes the color we can see, but why do we see different objects as different colors? The answer to that is based on what visible light is absorbed by an object and what visible light is reflected by an object. A cucumber absorbs all of the rainbow colors except the green which reflects off it. The yellow snow absorbs all the colors but reflects the yellow...but what about the white snow? Snow is really just frozen water. Under a microscope it's actually clear, like ice. But it crystallizes and traps little air pockets. All of these crystallized, hexagonal, frozen icicles reflect all of the light...in the white light spectrum, so the snow looks white.